Empire State Realty Trust, Inc., a real estate investment trust (REIT), focuses on owning, managing, operating, and acquiring office and retail properties in Manhattan and the greater New York metropolitan area. It also intends to provide construction services to tenants and other entities. 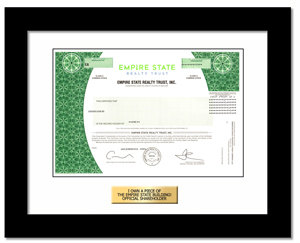 The company, formerly known as Empire Realty Trust, Inc., is based in New York, New York. Own the Empire State Building!